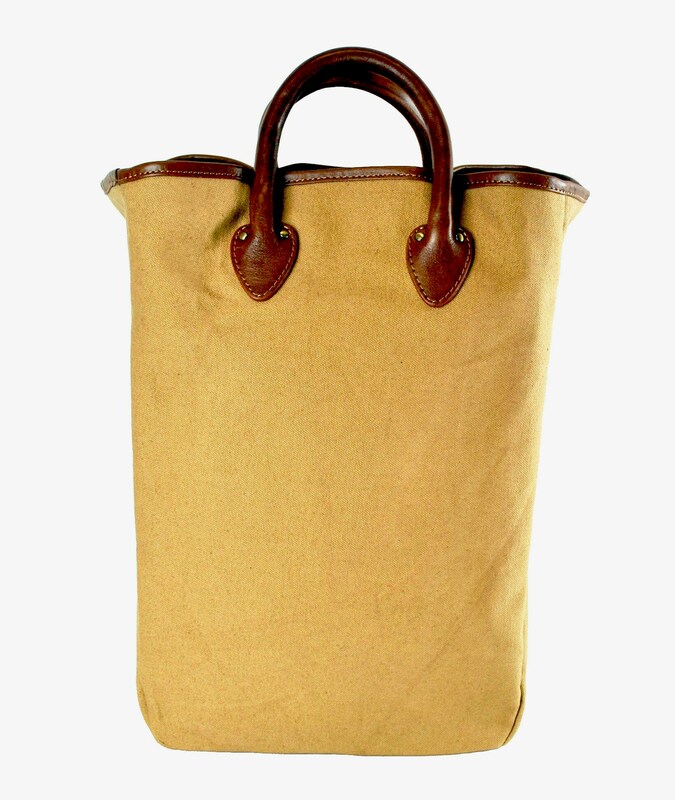 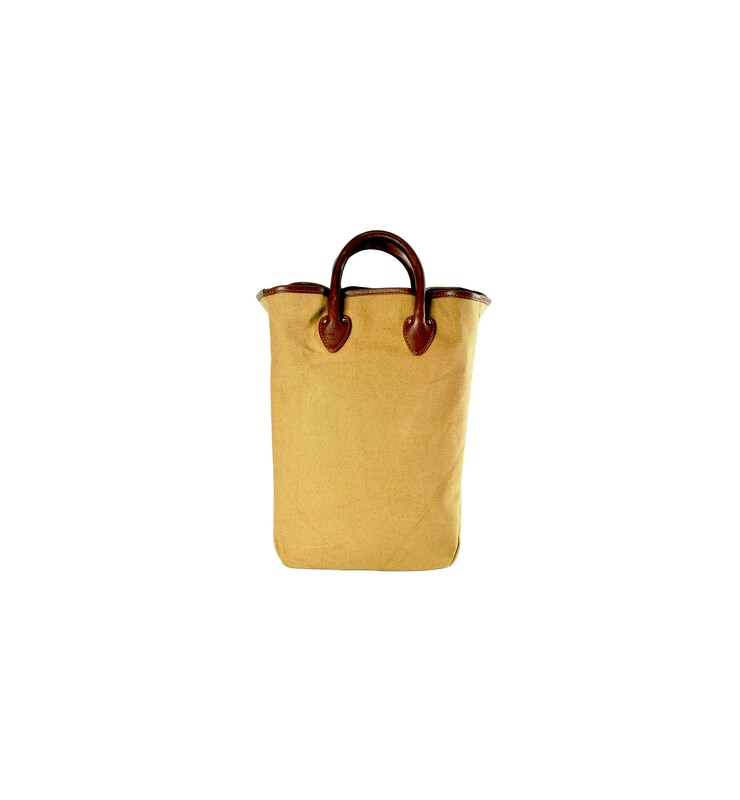 This hand held Tote Bag is made from thick gage 100% cotton canvas with vegetable tanned cowhide leather handles and trims. 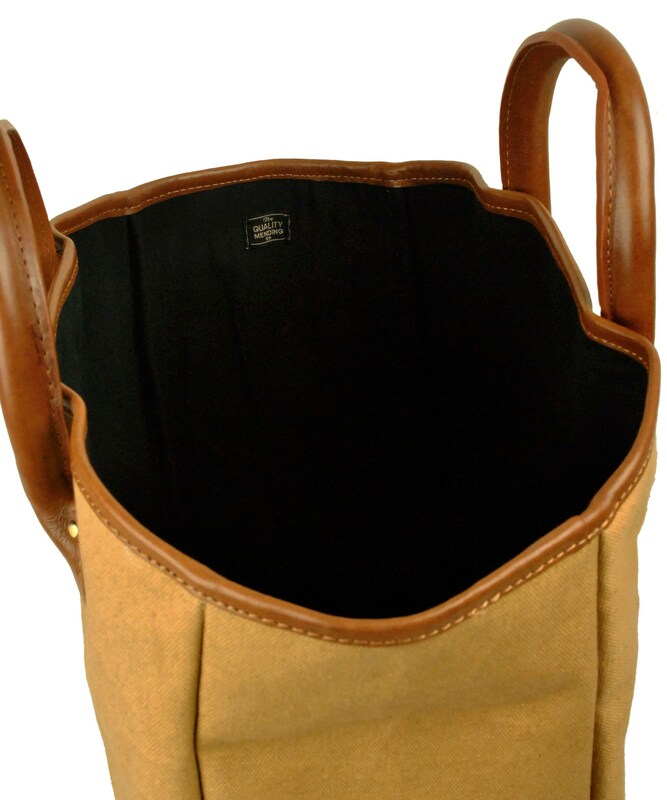 It has a black 100% cotton twill lining. 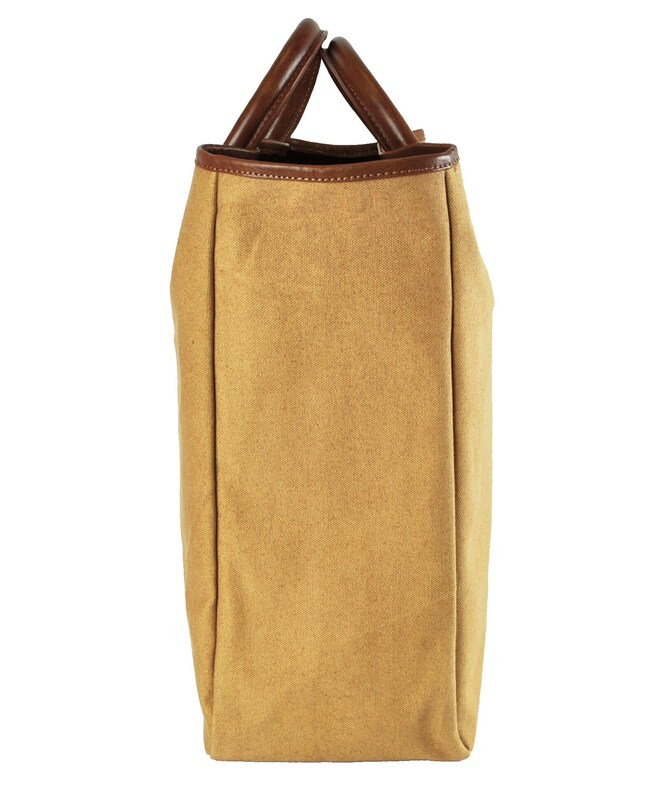 The bag measures: 11 inches wide, 15.5 inches high and 6 inches deep.